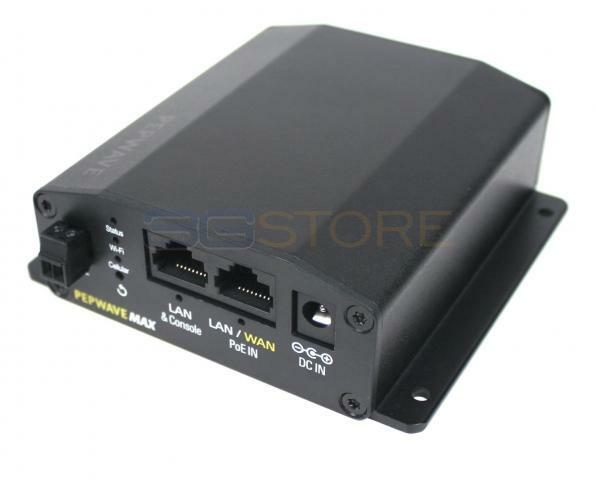 Congrats to Charles D. of Box Elder, South Dakota who just won a $25.00 Restaurant.com gift code for writing a review for Pepwave MAX BR1 Mini with Embedded North/South America 3G/4G Modem at 3Gstore.com! Every week we randomly pick one product review from the previous week and award the writer a $25.00 gift code. We appreciate ALL the reviews our customers write, whether they are positive or negative - honest reviews like Charles D.\'s help other customers decide if the product is right for them. After you purchase a product from 3Gstore.com, we encourage you to log in and 3Gstore.com and leave a review letting people know how the product worked for you - you'll be helping others, and you'll automatically be entered to win a restaurant.com gift code!. We travel full time in our motor home, so cellular internet is our only decent option. I was surprised when a rep from the 3G store called me a few weeks after my purchase to check on how my Mini was working. After I told him my speeds seemed slow, he walked me thru some troubleshooting. After changing the cellular channel, my speeds improved greatly. Great customer service! We keep our mini on 24/7 and have never had it drop the connection. BTW, I also purchased a 5 in 1 roof mounted antenna that brings in cell signals from much greater distances. It is worth the cost for our RV lifestyle.